When to Call a Contractor for Window Repair in Highland Park, IL? Have you recently discovered that one or more of your windows are damaged? Even if the damage is minimal, it is essential to take action right away to schedule a time for window repair. Some homeowners don’t realize that these repairs can be time sensitive. As a result, they delay the repairs and face bigger restoration bills later on. 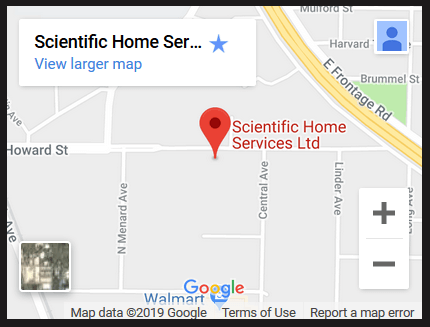 If you live in Highland Park, IL or the surrounding areas, you are welcome to contact our team at Scientific Home Services Ltd. We will schedule at time to inspect the broken window and make recommendations to repair the damage. Even though the window is damaged, you might feel like it is still staying in place, so repair work isn’t necessary yet. The truth is that you might not understand the full implications of a damaged window. A small crack could be letting in a draft or condensation from the weather outside. As a result, it is possible that mold growth might develop, resulting in thousands of dollars in repair work to get rid of the mold and water damage. Another possibility is that the cracked glass or a broken window frame could be causing a potential risk to your family. If a big storm rolls through, the weakened window could give way and break. Family members could be injured by the glass or you could be facing interior damage that would need further repairs. When you discover problems with your windows, the best thing you can do is take action right away to avoid other potential damage. Here at Scientific Home Services Ltd, we can help with any window repair you need. What type of repair work will be necessary to restore the quality of your window? The repair work depends on the type of damage you window has and your overall goals for the project. Some homeowners are looking for the cheapest repair solution because they don’t want to spend a lot of money right now. Other times, homeowners see the damage as an opportunity to replace the window in a way that will upgrade the quality of their home. Common window repairs might include fixing broken glass, sealing cracks and openings around the frame, improving the insulation of the windows, boosting energy efficiency, fixing broken screens, or adding storm windows. These repairs can be catered to match your preferences. The possibilities are endless! Talk to an experienced member of our team to learn more about the options that are available for your window issue. Window repair can also be planned in advance if you want to improve the quality of your home. Some homeowners choose to upgrade their windows because they want the energy efficiency benefits that come with newer windows. High-quality windows protect your home from the weather changes outside, decreasing the need to run your HVAC system frequently throughout the day. Low-quality windows can cause many problems and aren’t worth the risk they might pose to your family. If you have old, broken windows in place, it might be seen as an invitation to someone who is looking to break in. Old windows provide an easy entry into your home. On the other hand, high-quality windows are built using modern technology that improves the security of your property. If you want your family and belongings to be protected, you need to be sure that you have the right windows in place. In most situations, do-it-yourself work won’t be enough to repair your window. Instead, you need to call a professional team to help you through the process. Here at Scientific Home Services Ltd, we want to assist in your window repairs. Our team will provide the high-quality services you need in order to maintain the quality of your home. The first step is to choose a contractor that offers the necessary services. Then, schedule a time for your free in-home estimate to learn about the cost of replacing the windows. Finally, we can plan a day for your window repair. We offer fast services if you are dealing with an emergency situation. Or, we can schedule a date in the future if you need regular maintenance or replacement window installation. Our team is happy to work around your schedule to make it as easy as possible to improve the quality of your home. 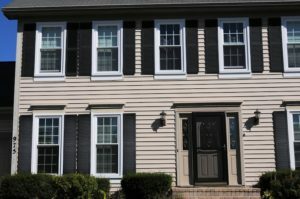 Are you interested in learning more about window repair for your Highland Park, IL home? Call us at Scientific Home Services Ltd right away. You can visit us at 5639 W Howard St, Niles, IL 60714. Or, call for a free in-home inspection and estimate: (847) 752-0370.